St. Maarten continues to embrace the SDG 2030 Development Agenda and remains committed to achieving these by the time the target date arrives. Sustainable Development Goals (SDGs), known as the Global Goals, are a universal effort to end poverty, protect the planet and ensure that people worldwide enjoy peace and prosperity. These are different to the MDGs approach as well as the partnership dimension (working nationally, regionally and internationally with partners in the implementation of the SDGs), which is key to success. Some 17 goals have been identified, built on the successes of the Millennium Development Goals (MDGs). The eight Millennium Development Goals ranged from splitting extreme poverty to halting the spread of HIV/AIDS and providing universal primary education. It formed a blueprint agreed to by the heads of all of 198 UN countries and most world’s leading development institutions. The 17 SDGs 2030 agenda was agreed upon by the UN countries in September 2015 and came into effect as of the 1st of January 2016. Sint Maarten is signatory of this agenda via the Kingdom of the Netherlands. The 17 SDGs are 1. no poverty, 2. zero hunger, 3. good health and well-being, 4. quality education, 5. gender equality, 6. clean water and sanitation, 7. affordable and clean energy, 8. decent work and economic growth, 9. industry, innovation and infrastructure. Others are 10. reduced inequalities between countries, 11. sustainable cities and communities, 12. responsible consumption and production, 13. climate action, 14. life below water, 15. life on land, peace, 16. justice and strong institutions as well as 17. partnerships for development for the aforementioned goals. The Sustainable Development goals are interconnected. Often the key to success on one goal will accelerate progress on another goal. The idea is to reach all targets, by 2030, and sustain these for the duration of life. The UNDP office of Trinidad & Tobago provides support to the St. Maarten government via the Department of The Interior and Kingdom Relations in integrating the SDGs into our upcoming National Development Plan and policies. When it comes to implementation of the goals, St. Maarten has introduced the StMaartenInfo database to compile development data as well as a user portal for policy development initiatives. Via the Millennium Acceleration Framework, St. Maarten has combined interventions to target poverty and hunger, social protection policies for elderly and vulnerable groups, with the aim to secure basic protection, access for all to adequate, safe and affordable housing and upgrading slums. St. Maarten has conducted a national household budget survey and worked on addressing established social needs of the society (SDGs 1, 2, 11). In healthcare (SDGs 3 and 17), St. Maarten partners with the Pan American Health Organization, the World Health Organization and the Caribbean Public Health Agency to improve health care policies and services. In St. Maarten, women and men enjoy equal access to affordable and quality technical, vocational and tertiary education. The elderly, the physically challenged and underprivileged youth are supported through educational programs and policies are in place to decrease dropout rates in education and to digitalize the education system (SDGs 4 and 5). Wastewater management and sewage treatment are challenges in St. Maarten. Investments in sewage treatment provisions have increased in recent years but are still insufficient. A project plan on wastewater management has been in place since 2014 for water and sewage management and includes plans for the drainage and sewage collection. By 2035, St. Maarten is aiming to establish fair, efficient and sustainable water supply and sanitation services in cooperation with regional and international partners (SDGs 3, 6, 14 and 17). St. Maarten has a National Energy Policy Plan in place, to increase renewable energy resources like solar power and generate energy from waste materials (SDGs 7, 9 12, and 13). St. Maarten promotes sustainable tourism and is strengthening legislation to enhance employment opportunities, improve relations between employers and employees and supports access to financial services. St. Maarten is expected to stimulate economic growth through innovation, promotion of small, medium size enterprise development and by promoting an enabling environment and (telecom) services to stimulate economic growth and business development. (SDGs 8, 9 and 11). 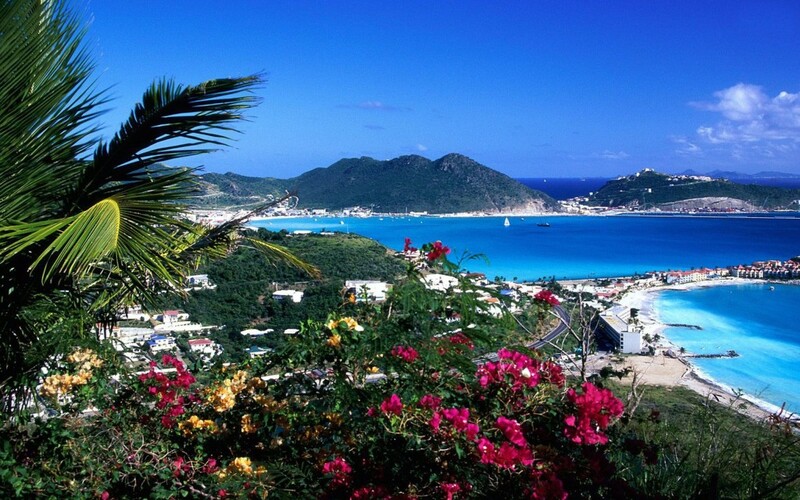 St. Maarten protects the environment and preserves natural heritage resources through an Environmental Policy Plan. (SDGs 11, 12, 13). Next to building partnerships for development, building strong institutions are key to the SDGs approach. In St. Maarten, institutions like the Social Economic Council, Ombudsman and General Audit Chamber can be mentioned as examples (SDG 16). St. Maarten, along with the Dutch kingdom, committed itself to the SDG 2030 Development Agenda and is in the process of defining priorities for its development agenda. Furthermore, it is to decide on who to work together with, to implement the SDGs 2030 agenda. This requires the partnership of governments with the private sector, NGO’s, academia, civil society and citizens, to mention a few. The government will soon release Sint Maarten’s Millennium Development Goals (MDGs) report 2015 and Beyond. In the meantime, St. Maarten has been in the process of determining its development priorities, in collaboration with key stakeholders. St. Maarten’s Prime Minister, William Marlin, is scheduled to attend an upcoming High-Level Political Forum (HLPF) on SDGs in New York later this month, when a Kingdom Voluntary Review Report on SDGs will be presented to the United Nations.